ICL SCADA controllers are fully programmable and compatible with all five IEC-61131 standard languages as well as C/C programming. If you need to implement custom control strategies, protocols or logging routines you have the full power of a high-end programmable controller. You can create your own custom function blocks using the richly supplied library including PID control, non-linear scaling and averaging, and pump alternation. No hidden costs, tag limits, dongles, keys, per-user or software maintenance fees! – a simple, reliable approach that saves time and money. 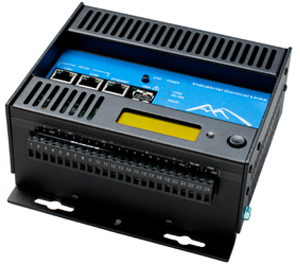 Pinnacle series SCADA controllers are completely programmable and fast – applications run up to 50 times faster on Pinnacle controllers than traditional controllers. Check the chart below to find the Pinnacle SCADA controller that’s right for you! 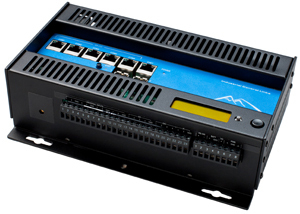 Great performance and value – the only difference is the I/O configuration! Anderson Controls Incorporated is a Stocking Distributor & Manufacturer’s Representative for Factory Automation, Process Control and Security products for Control & Monitoring of Temperature, Differential Pressure, Level, Position, Converters, Wireless, Satellite and Flow.